5) increased browser support, 6) better stylesheet for printing. The template has many options for layout, pictures, text, tables, and colors, and is suitable for personal, business and portal websites. Three basic page layouts exist, Layout 1, Layout 2, Layout 3. Please check the Basic Options and Extra Options to discover the full potential. 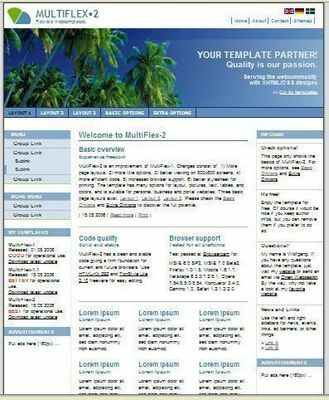 MultiFlex-2 HTML Web Template html;multiflex-2;web template 7063474 9.95 austinpower Fresh Download Available!